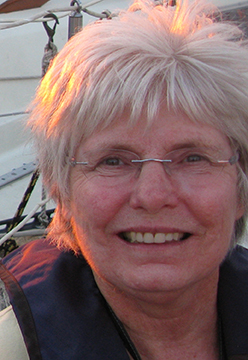 Sandra Hawkins is an acclaimed multi-media Canadian artist. Her research-based practice uses painting, photography/video and installation to challenge socio-political perceptions on climate change, rising ocean levels and disappearance of coastal habitats. It is located within the broader aesthetic discussion on memory and identity. Her paintings were recently shown and published by ArtTour International in New York City (NYC). She also accepted the Top 60 Masters in Contemporary Art Award at the NYC Arts & Design Institute. Her art is shown and in important collections in Canada and internationally, including Morocco, Columbia, China, Pakistan, Russia, Hungary, United States and Germany. Ottawa exhibitions include the Karsh-Masson Gallery, The Annex Gallery at the Ottawa Art Gallery, City of Ottawa Community Galleries and commercial galleries. As a research-based artist, her participation in international artist residencies is crucial for the exchange of ideas across cultures and disciplines. Selected out of hundred's of applicants she is awarded the Arctic Circle 2019 Arts & Sciences Expedition residency in Svalbard Archipelago Norway. In 2013, the Canadian Arctic Return self-directed residency involved six central arctic communities. Others professional residencies include the prestigious Banff Centre Alberta 2009, the Vermont Artist Studio Centre USA 2014, the Hungarian Multi Cultural Centre Budapest 2007/08, and Gibralter Point Toronto Ontario 2002. Hawkins is author and teacher of The Business of Art - Visual Artists in Canada, four editions. She has taught at Algonquin College, Arts Administration at University of Ottawa, and Contemporary Art Discourse at Learning in Retirement, Carleton University. Sandra Hawkins is an active volunteer in the arts community at all levels, and has held many leadership roles to assist other artists.